Not too long ago the first game in the House of 1000 Doors series has been released, and it won out many gamers with everything it had to offer. Today we are looking at its sequel to see what it's worth. The cursed gem causes a lot of trouble and the one who ends up solving this problem is Kate Reed from the previous release. The game features the story about the cursed gem (I wonder how many thousands of times this theme has been used in all the genres of the casual games, but it still doesn't mean that it spoils the experience). The cursed gem causes a lot of trouble and the one who ends up solving this problem is Kate Reed from the previous release. You are to guide her in the search for the artifacts that can break the power of the gem. The residents of the House of 1,000 Doors do need your help once again inthis hidden object puzzle adventure game. The second release features just as gorgeous graphics as the first one. 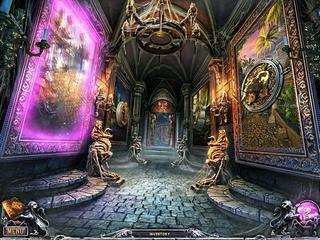 The hidden object scenes are all full of many different details. Sometimes, the number of the details almost makes it look like the scenes are cluttered. 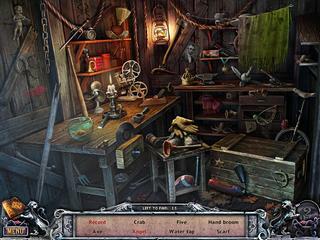 The hidden object scenes lists have some interactive items, and they are mostly not too challenging. The puzzles are all familiar from the all other games. But, of course, you do get many tasks to make it more interesting and all the doors to explore what's behind them. The story is well developed and keeps you hooked for the whole time. The game is a lot of fun for those who loved the previous release, and those who haven't tried it. The only flaw is that there isn't so much time to enjoy the whole game and finish it. This is House of 1000 Doors: The Palm of Zoroaster review. Download this game here.